I welcome students this fall, particularly those new to U of L. You may be excited and not sure what to expect. You probably received advice from fellow students and administrators/advisors. I want to provide information from a perspective many of you may not have heard at U of L.
The most recent elections show that the country is split about 50-50 on many of issues. At U of L, around 80 percent of employees fall left of center, with an even higher percentage in departments where you will take many general education requirements. A higher percentage of people on the extreme political left also work here than are in the general population. Remember that the views and biases of faculty members generally impact lectures and reading assignments. Not all U of L personnel automatically conclude that you are ignorant, greedy, racist, sexist, or xenophobic, etc. if you voted for Donald Trump or hold certain religious beliefs. 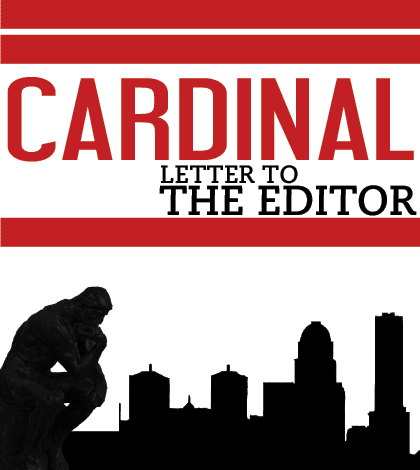 People with differing reasonable political, philosophical, or religious beliefs belong at U of L and should not have to conform to imposed exclusive inclusiveness policies. Critically examine what you are taught and seek out opposing perspectives — particularly if that teaching is contrary to what your parents taught you or what you consider common sense. The First Amendment rights of free speech and free association do not end when you step on campus. Employees and students should be able to discuss and debate issues calmly and rationally — not shout each other down, or try to silence people with different opinions or even remove them from campus. Be prepared to carefully and respectfully question authority at U of L.
Ben Foster, U of L Accountancy professor and Kentucky Association of Scholars’ President. Note: Data in the article (like the statistic of 80 percent of professors falling left politically) represent analysis and calculations by Foster. The Kentucky Association of Scholars is an affiliate of the National Association of Scholars, a politically conservative non-profit advocacy group. This letter is absolutely terrific right up until the italicized comment at the end. The next-to-last paragraph states, “The Kentucky Association of Scholars is an affiliate of the National Association of Scholars, a politically conservative non-profit advocacy group.” We are not, and should not be, a “politically conservative” group. The NAS is supposed to be, and I think is, a big-tent group which should be a home for everyone who cherishes intellectual freedom and high standards. I agree totally. All wording in the italicized Note was added by the editor.